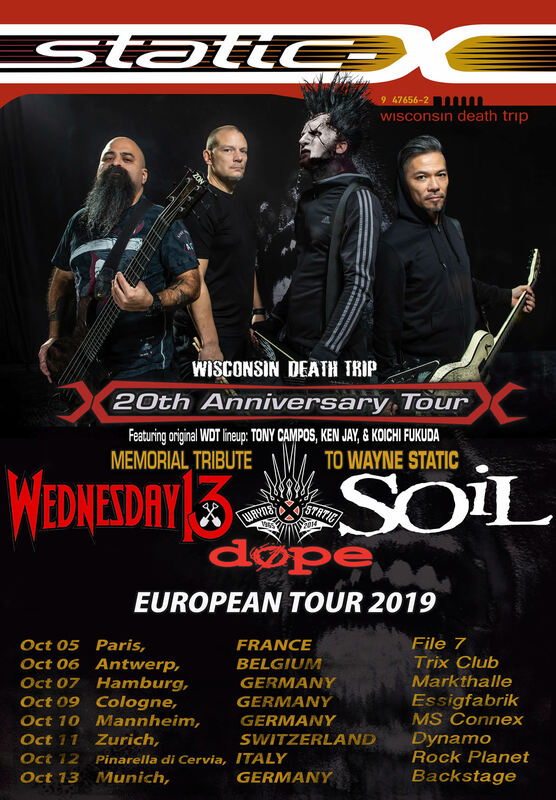 BIG UK and European tour announcement! 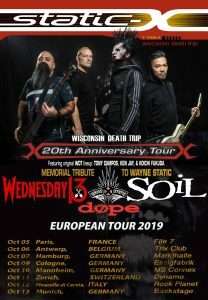 SOiL will hit the UK and Europe with Static-X , Wednesday 13 and + DOPE + this September/October! 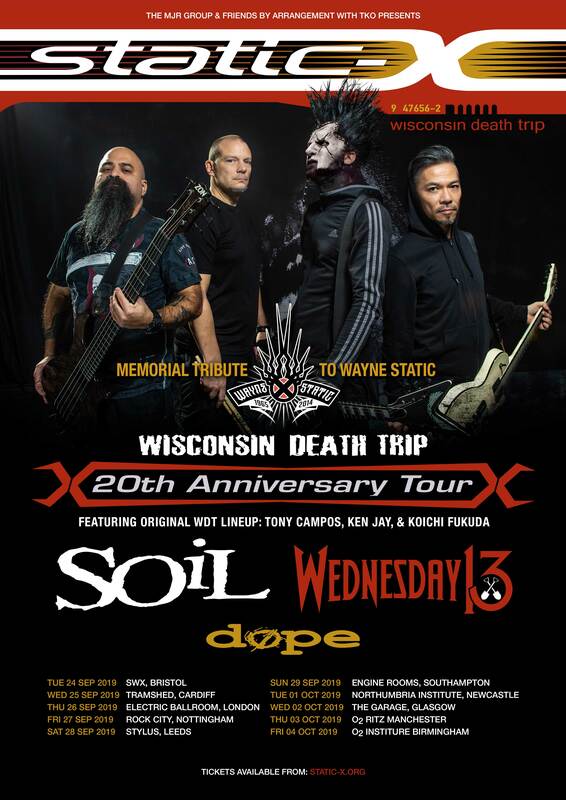 Ticket links and video info below. Click the posters for more!